You are here: Home / Town Happenings / Could There Become a Boulder City Express? Could There Become a Boulder City Express? 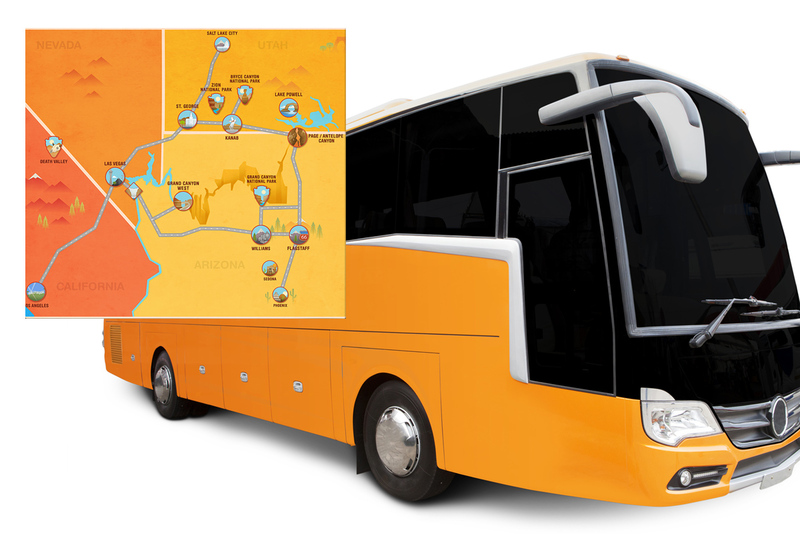 A relatively new division, but with an established tour company has reached out to the local Boulder City Chamber of Commerce, and the adventure and tourist destination companies about partnering to create a motor coach travel route that would drop off visitors right here in downtown Boulder City! There’s a lot of moving parts on this to work out, but the concept is this: for a reasonable fee riders could be picked up at The Strip in Las Vegas and be brought into Boulder City at a variety of pre-planned stops to take advantage of some of our adventure outfitters (Flightlinez, Black Canyon, etc.) as well as be taken down to Hoover Dam and Lake Mead, but also have a stop here in Boulder City. This would be a ‘hop on – hop off’ concept, so visitors could spend time in each location as they wished. The company is already traveling in our area currently. They take riders to and from Las Vegas (and other cities) to locations at the Grand Canyon, Lake Powell, Zion, Bryce Canyon and other famous spots in the Southwestern US. You can learn more about them on their web site HERE. The advantage is that this company is already traveling these routes, but currently past Boulder City. Note, there are others, such as Gray Line who travel right through our area, but this is the first company we’re aware of who wants to really make Boulder City and our area a full-fledged destination in its own right. This existing company is run and owned by some very experienced tour operators who have previous experience in the international inbound tourism market in. So, one believes that should be advantageous. Again – this is in the early stages but it is possible that if they can make things work with the various outfitters as well as Hoover Dam and the National Park Service, that we might see travelers coming to Boulder City via this method before Christmas! We’ll keep you posted.